Studio Indigo are so pleased to announce that Brigadoon, has been nominated for a Boat International Design & Innovation Award! 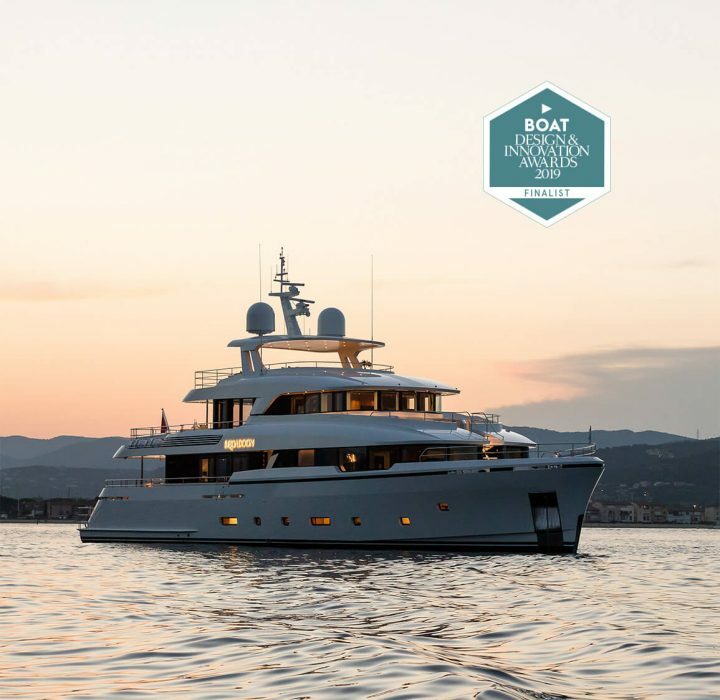 The 36m Brigadoon is the first in the Martinique line from Dutch shipyard – Moonen Yachts, and Studio Indigo along with Nauta Yachts are nominated for the Best Interior Design Motor Yachts in the 300GT to 499GT category. “We focused on introducing details throughout the boat which would both surprise and delight, giving those on board something new to discover and remember.” – Studio Indigo. “All of the right ingredients for a great design were on the table from the very first meeting with the owner.” – Nauta Design. It’s fantastic to see Brigadoon against some great nominees and we look forward to the awards show in Cortina d’Ampezzo, Italy during the Superyacht Design Symposium in January 2019!